Love is in the air and I am interrupting regular broadcasting to bring you a special Valentine's post. I was going to log in and share with you a life coaching tool this week, but something really cute came up and I decided coaching could wait. For those of you who don't already know, by night I'm a blogger, but by day I work in commercial property management. 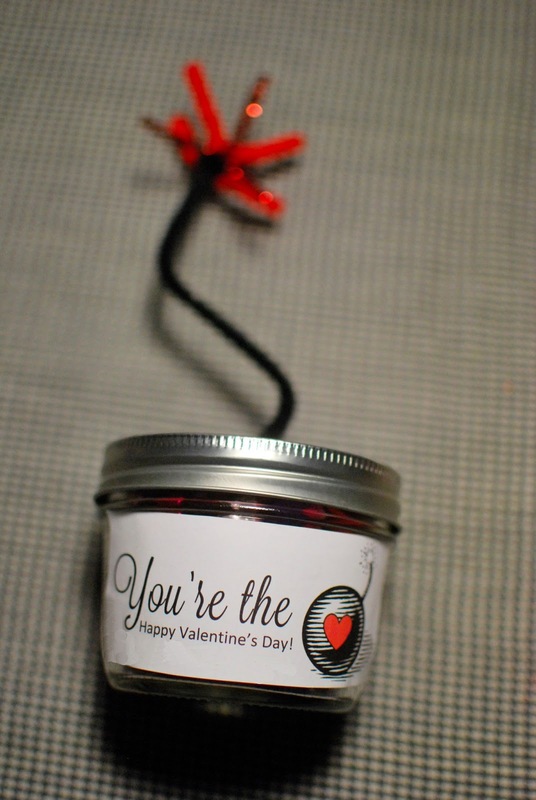 Each year we give a little treat to our tenants for Valentine's day and this year's treat is UNBELIEVABLY fun...I just had to share. That's right. You're the bomb! 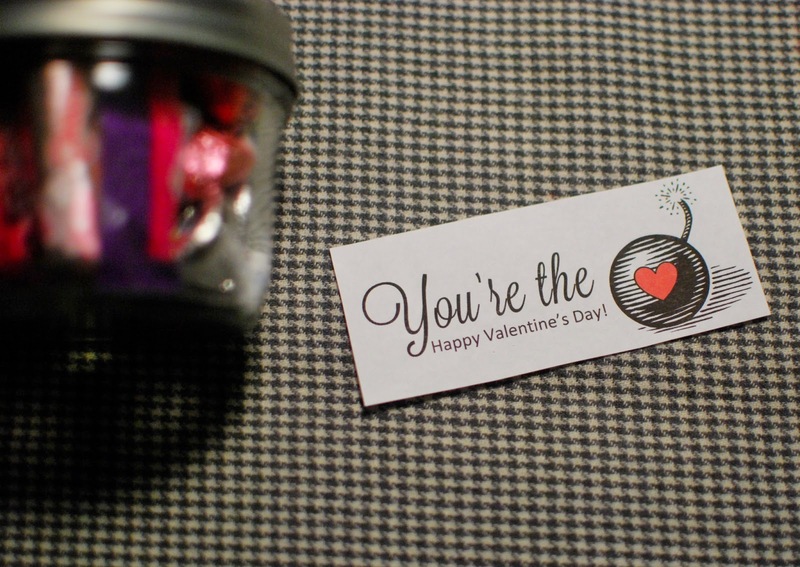 I had so much fun making these, and received a lot of great feedback, so I thought it would be fun to share a "How To" for those of you who still have time to crank out a few V-day treats, or for those of you who may be looking for ideas next year. Honestly, they could be used for an anytime "Thank You" treat. Just change up the paper label to customize it to your needs. I am seriously smitten with these. I hope you are too. Click "read more" below to see the "How To" after the jump. Once you have all of the ingredients these are super simple to make. The first one I made took about 3 minutes from start to finish, but after that I was spinning them out in less than 1 minute each. If you have lots to make, I suggest prepping the pieces first and then start up the assembly line! First, fill the jar with candy to make sure everything will fit. A 1/2 pint jar fits a few packets of candy hearts (center), about 6-8 kisses, and 4 mini chocolate bars. 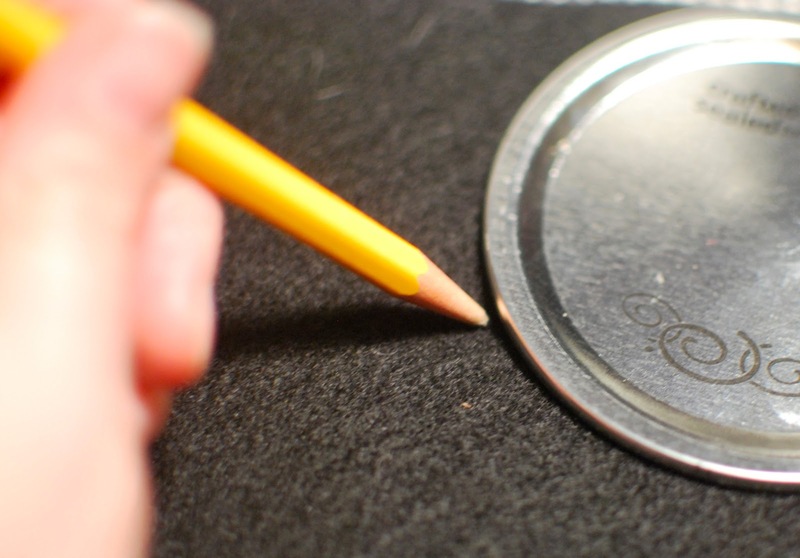 Next, use the inside disk from the jar lid and a pencil (or a pen) to trace a circle on the black felt. This line will help you to cut out a circle the same size as the interior of the lid. Then cut the circle out. 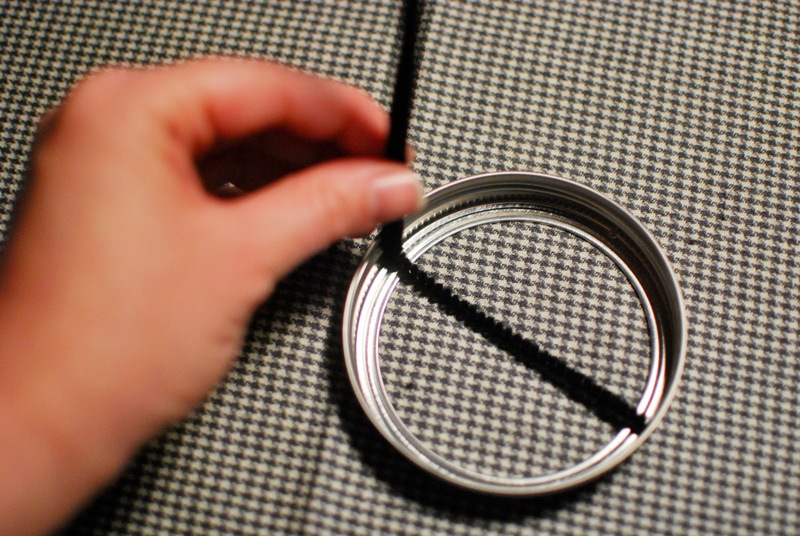 Trim up the circle so it is the same size as the lid or slightly smaller. 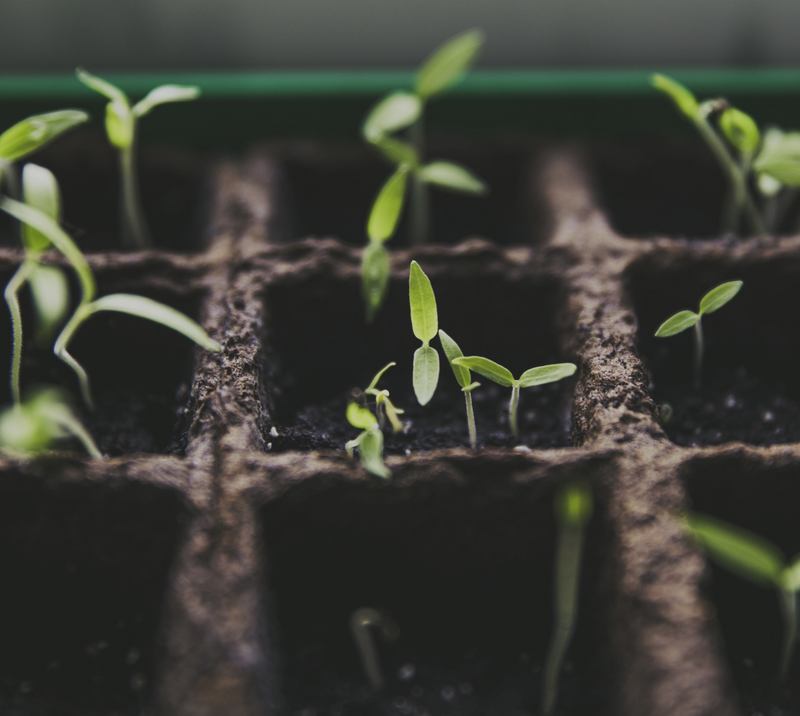 Don't trim it too much or the circle will not be held down by the outer rim of the jar lid. Next, fold the circle in half and cut a small slit in the center of the folded edge. 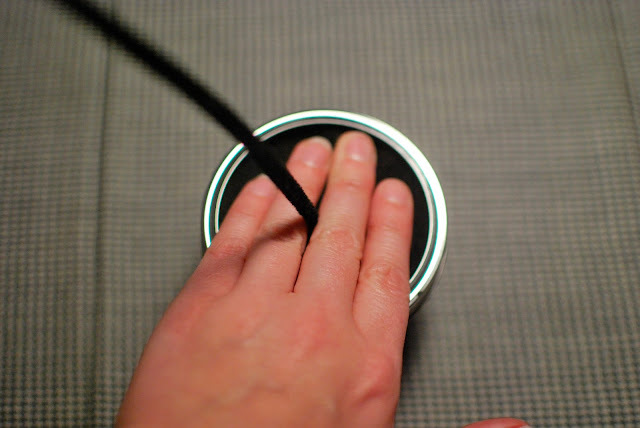 This will give you a small hole near the center of the circle for the wick. Now it's time to make the wick. You will need one black pipe cleaner and the exterior rim of the jar lid. Using the jar lid to measure, make one bend in the pipe cleaner to start the base of the wick. Next, fold the pipe cleaner at the bend and begin twisting it around itself until you reach about half way across the shortest section. 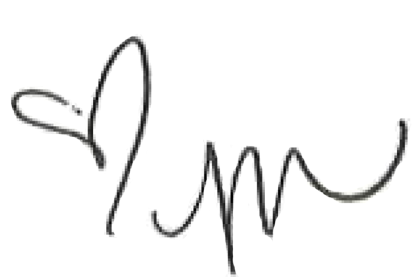 You should end up with a shape that looks like this at one end. Next, take the longer end of the pipe cleaner (the base of the T shape) and slide it though the hole in the black felt circle. You will end up with the twisted base of the wick on one side of the circle and the long wick on the other side. 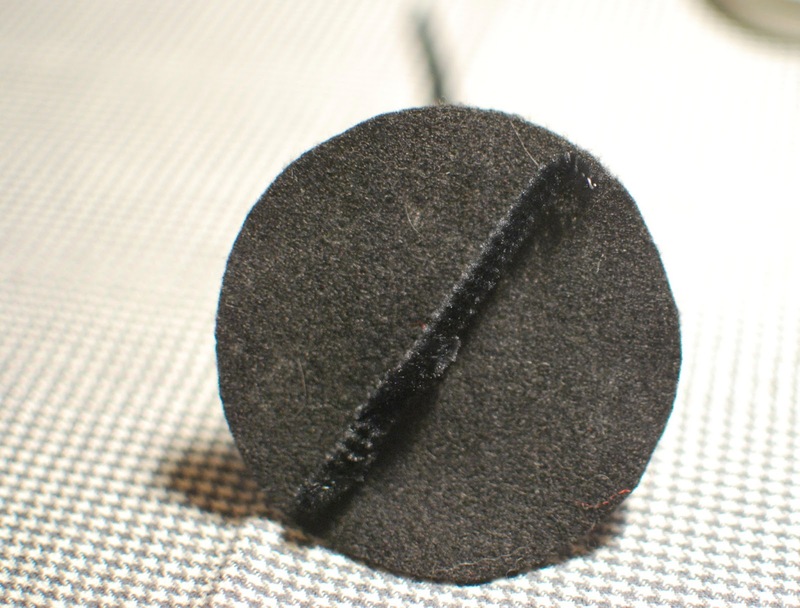 Note that you may need to trim or bend the untwisted end of the base to make it fit within the edges of the circle. Below is a photo of my base piece. Now, it's time to assemble! 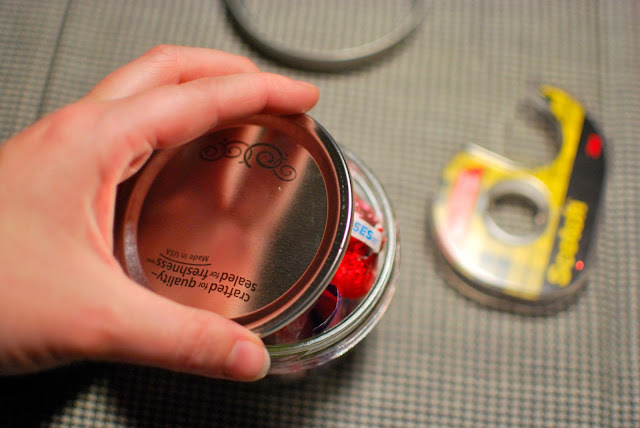 First, place the inside disk of the lid on the top of the jar. Next, layer the new wick and felt circle piece on top and use double stick tape if needed to help secure the felt. 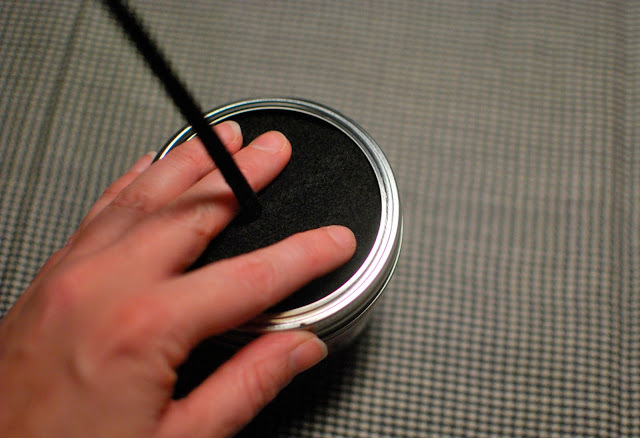 Then, slide the exterior rim of the jar lid over the wick and get ready to screw it down. The next step can be a bit tricky because once you get to the final few turns of the outer rim the felt likes to bunch up. I found it helpful to put two fingers on either side of the wick and hold the felt flat while I turned the exterior rim with my other hand. Keep in mind that you have added thickness with the felt and you won't need to fully tighten the lid. Here comes the fun part!!! 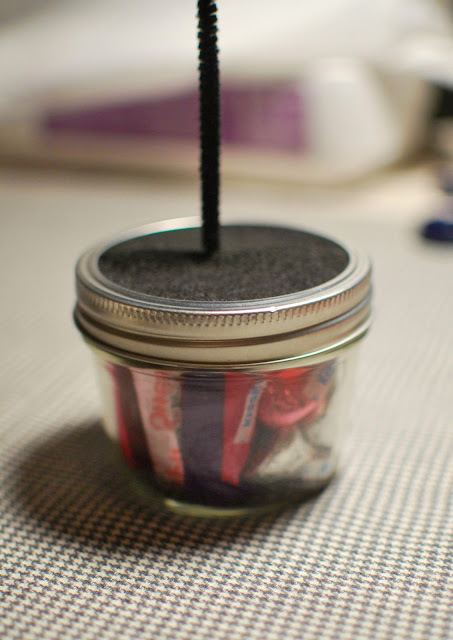 By now you should have the base structure for your candy bomb similar to the one shown below. Now, it's time to light it up! The wick can go in any direction and in any shape that you choose. For mine, I gave it a straight up S shape, but you could hang it down the side, make it zig-zag, twirl it around the pencil for a curly-cue, or leave it straight. There are endless possibilities, but the last step of wick shaping should include bending the last inch or so like below. 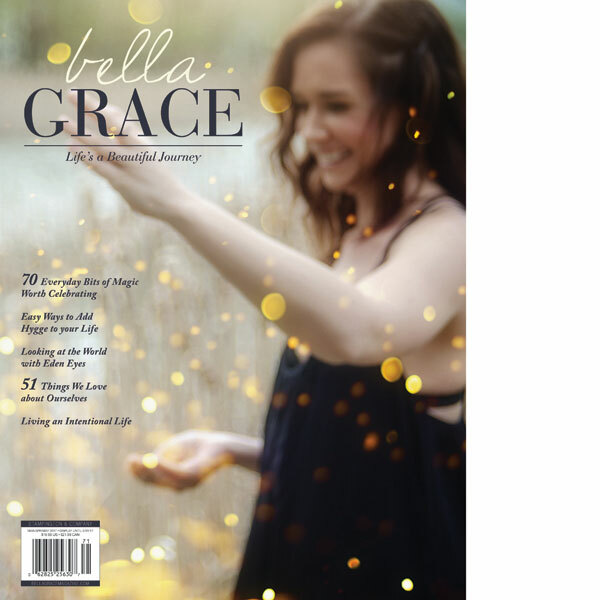 This little end piece will give you enough allowance to attach the spark. What's a bomb without the fire?!?!? To make the spark, the first step will be to pull one red pipe cleaner and one sparkly red pipe cleaner and cut them both in half. Set one piece of each aside and cut the remaining two pieces in half again. 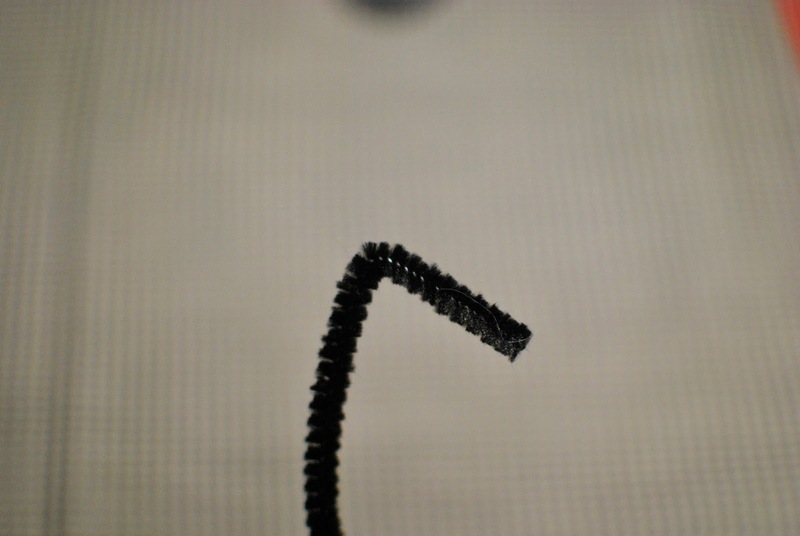 In the end, you should have four 3-inch pieces of pipe cleaner. 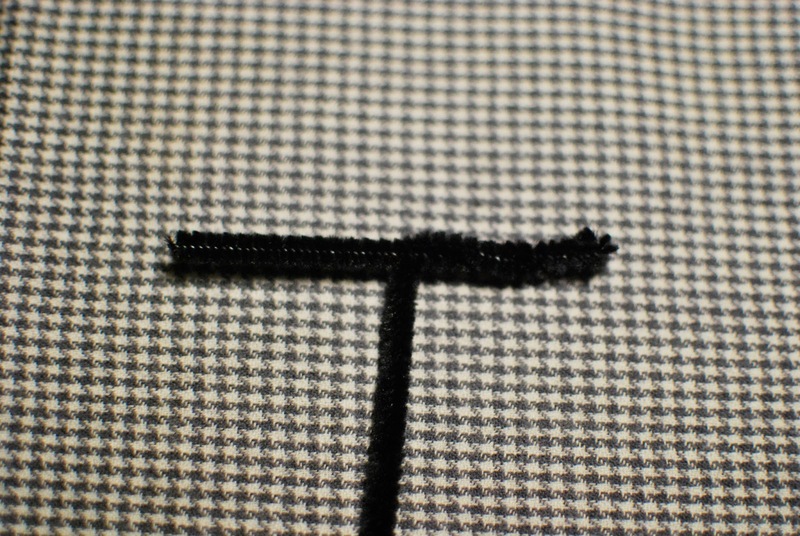 Next, bundle the four pieces and place them inside the bent end of the wick. 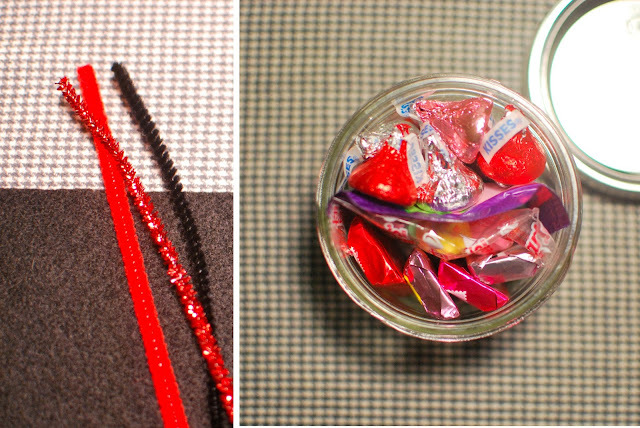 You will then take the 1-inch wick allowance and curl it around the bundle of red pipe cleaner pieces. Once they are secure, play with them a bit to arrange them into the shape of the burst. I found it helpful to twist the ends of each around the wick to give it better hold. You're almost done! The last step is to add the label. After the label is cut out (size and shape determined by your needs, but mine is about 1.5 x 4) place two pieces of double sided tape...one on each end...on the back side of the label and affix it to the side of the jar. And BOOM! You're done! I'm hoping all of the pictures help, but if you have questions or want to share your version of "the bomb" feel free to email me a pic or leave a comment below. I'm pretty sure this is my first real "how to" tutorial on JL, so I'm hoping the instructions are easy to follow and you have as much fun as I did! I love this idea! I wrote a blog post 5 Ways to Use Mason Jars for Valentine's Day and added a link to your post. So creative! Thanks Karin! I'll pop over and check it out. 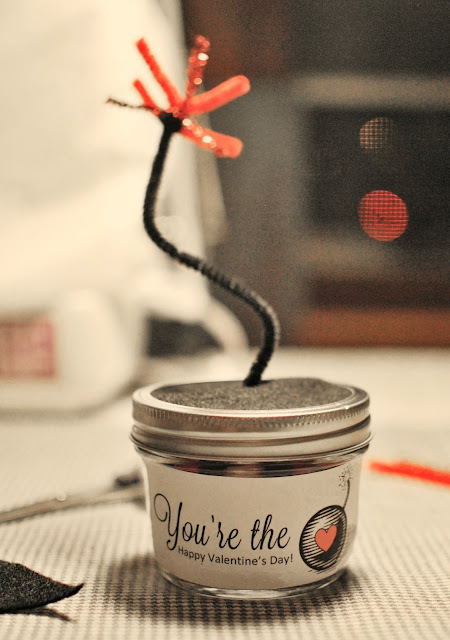 I'm always looking for fun new ways to use Mason Jars and Valentine's day is coming up quick!